Traffic. Air Pollution. Over-crowded streets. 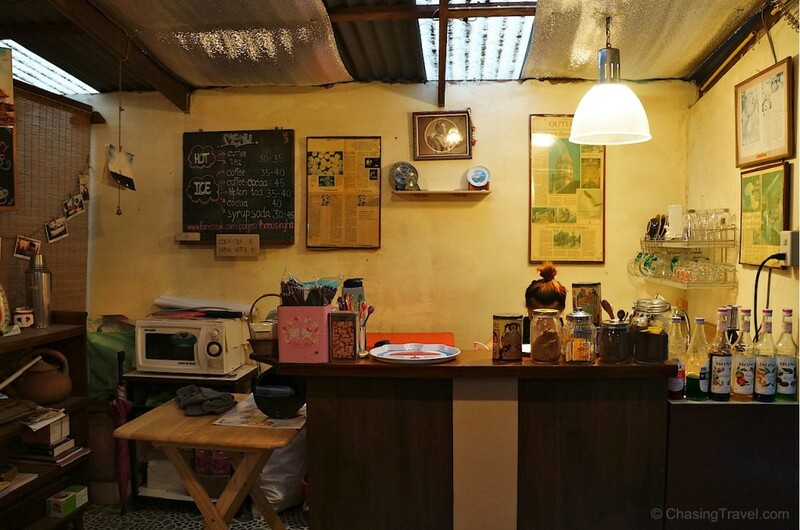 These are the things most people think of when they think of Bangkok. 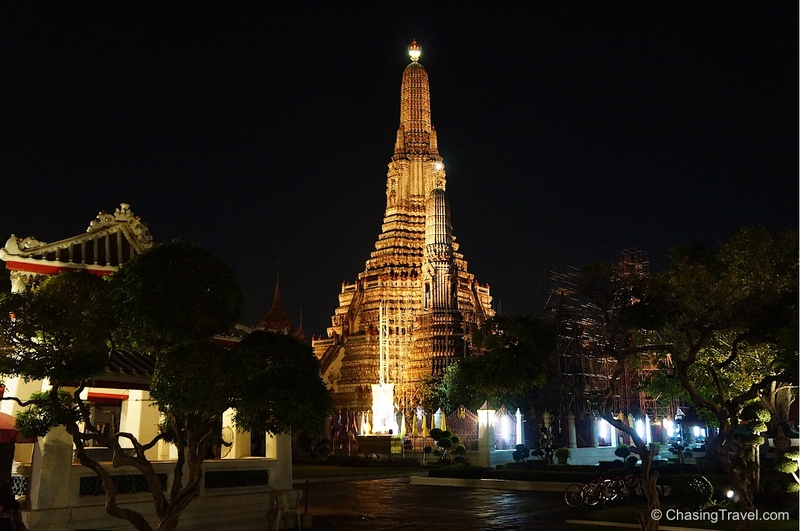 Despite its bad rap, we wanted to find the calmer, more local side to Bangkok. We met Tammy, a local guide near the 14 October memorial. Just a few short minutes on our bikes and suddenly the city got quieter and less crowded. 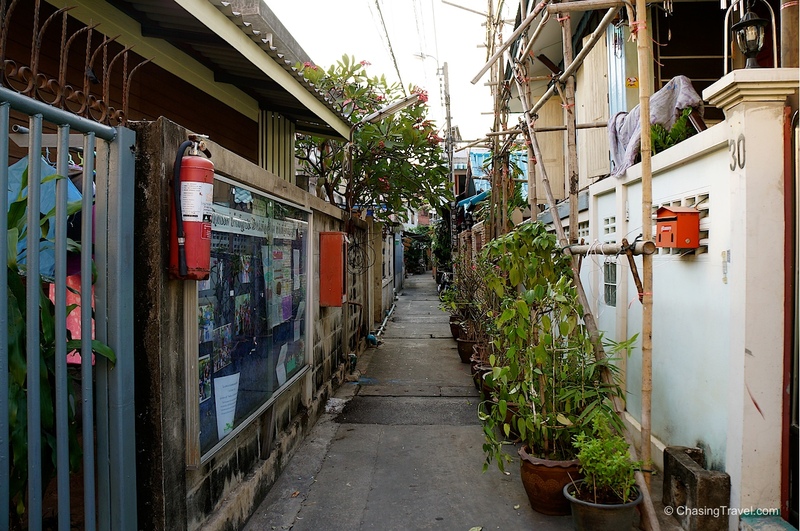 We cycled through back alleyways and passageways along the canal behind the chaos of Bangkok. 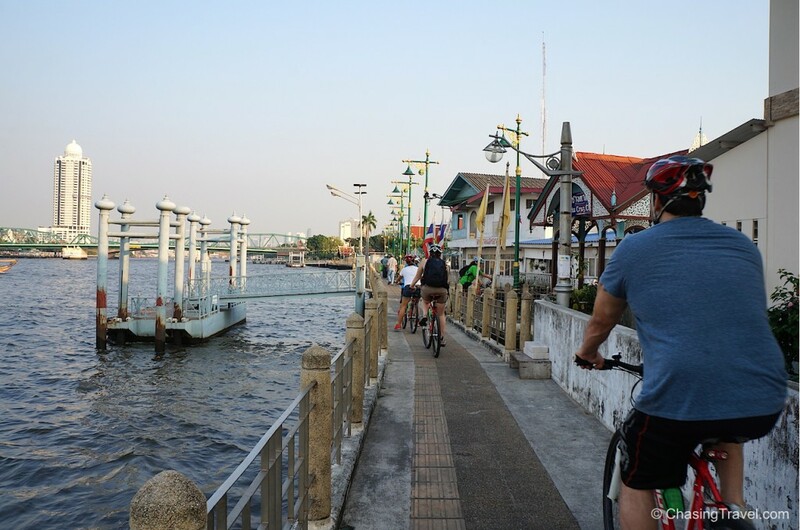 Bangkok Bike and Dine is a new day tour by Grasshopper Adventures where you can explore Bangkok by bike, learn about Thai culture, Buddhism, and enjoy a home cooked Thai meal hosted by a Thai family. Bangkok was first built on these canals before walkways were even created. 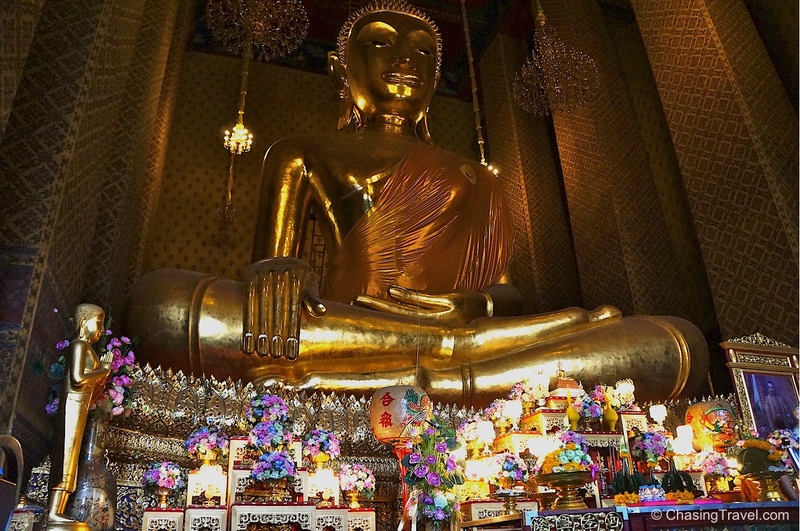 Wat Kalayanamit is a Thai-Chinese temple that houses the largest Buddha in Bangkok (Kalayanamit means “good friend” and is an historic symbol of the Thai-Chinese relationship). 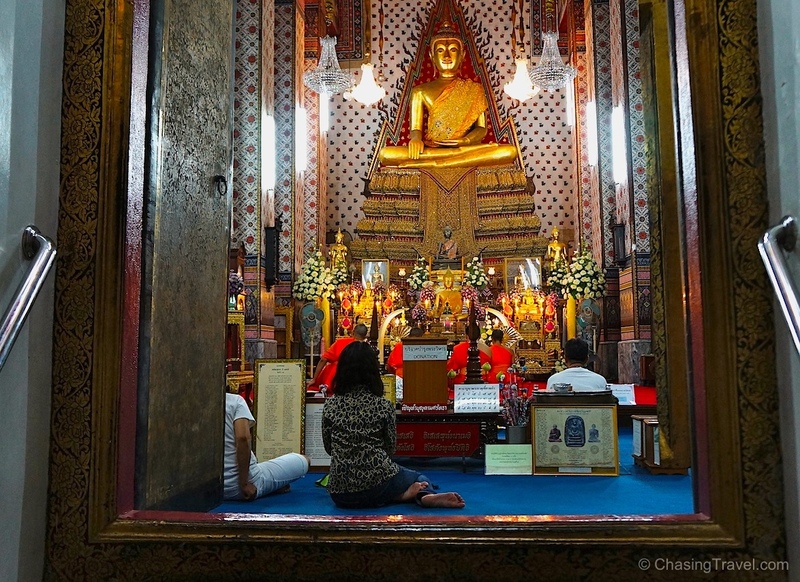 This temple doesn’t seem to attract many foreigners so you get to experience Buddhism first hand. At first I felt uneasy. Walking into a sacred place where locals were practising made me feel a bit intrusive but Thai people are some of the most welcoming. You can stand back and watch as they perform traditional puja rituals – bow, make offerings and chant or you can join in. You should bring your elbows and knees to the floor slowly, three times – once to the Buddha, second to the Dharma (the teacher of Buddha), and third to the Sangha (his followers). You can light a candle or incense, or shake out one of the Kau Cim bamboo sticks from any of the containers on the floor and whichever one falls out first is your lucky number. You can match the number to your good fortune on the back wall. Dan’s fortune stick said he needs to be more patient and calm – my fortune was not any better. #13 told me I need to stop nagging. Do I do that? If you get a bad fortune you should hit the temple drum 3 times for better luck. I banged that drum well and hard. One of the original settlers of Thailand were actually Europeans. In Bangkok, the Portuguese settled over 500 hundred years ago near the Santa Cruz Church which the Portuguese built. 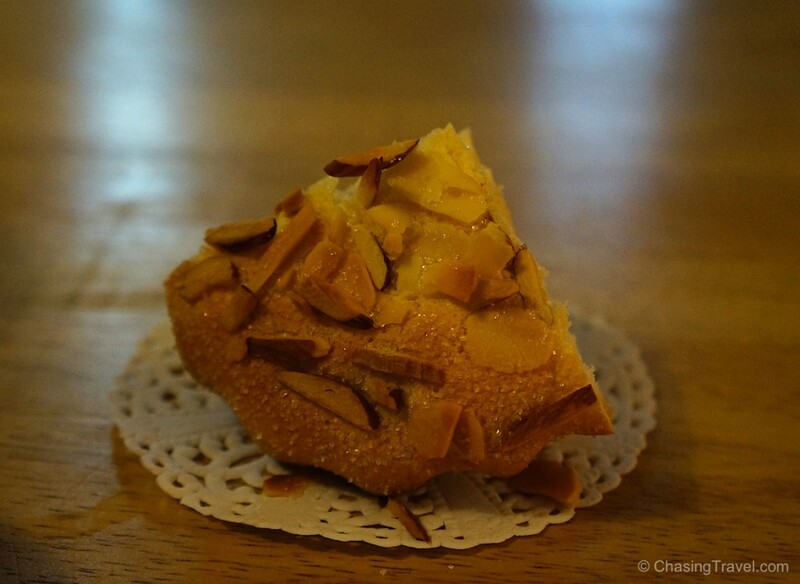 Aside from introducing Christianity to the Thai, the Portuguese also brought with them the first bread and cake to Thailand. 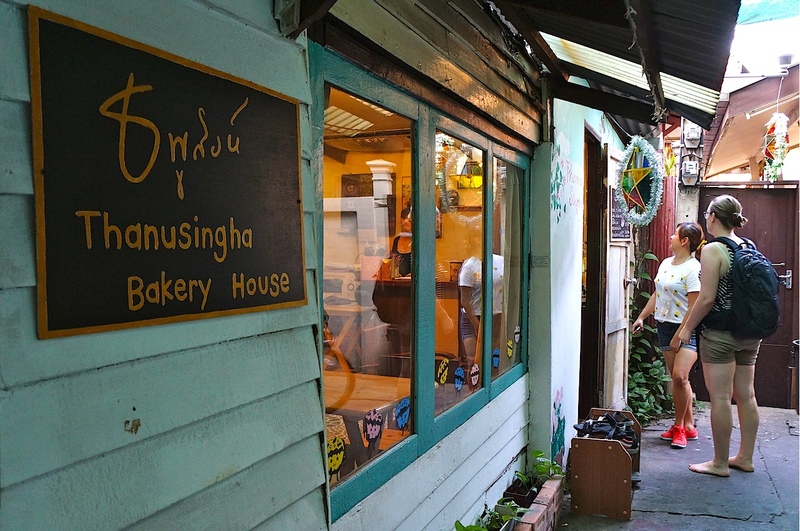 The Thai-Portuguese neighbourhood around the church has kept some of their original traditions alive – including a cute local bakery shop where you can pop in for tasty iced coffee and khanom farang kudijin, the signature Portuguese cupcake still produced today. It’s a warm spongy snack made of wheat flour and egg with a crispy muffin top, sometimes with dried apple, raisins, Chinese plum or almonds then sprinkled with brown sugar. It’s one of those crispy-on-the-outside soft-on-the-inside treats. For 10 baht (.40 cents) it was hard to eat just one. Thanusingha bakery feels more like a home. 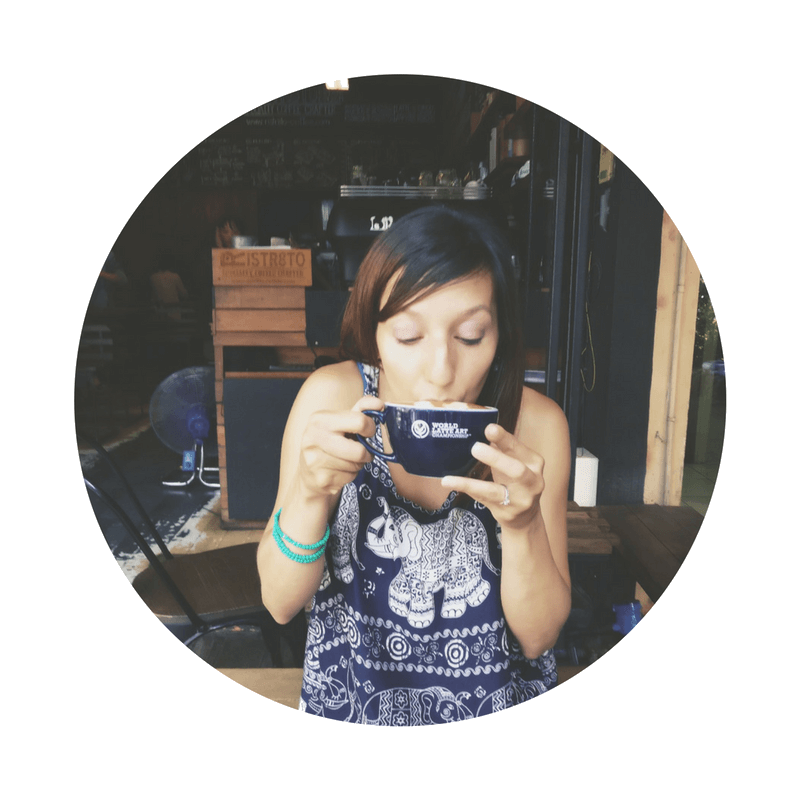 The walls are decorated with little trinkets, mismatched frames, and furniture like I would find in my Nonna’s living room. 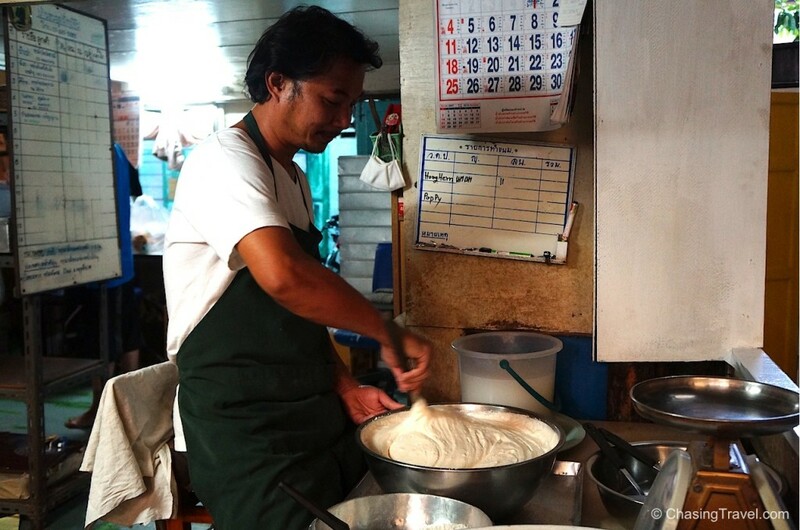 The baker lives just upstairs and you can watch him create his cakes right in his back room. If you ask for his recipe, he can’t tell you – the family has never actually written it down. He has learned to measure ingredients and bake his cupcakes by eye. To have the cakes ready in time for morning, the bakers wake up at 2 or 3 to mix all the ingredients then bake them in a brick firewood stove. 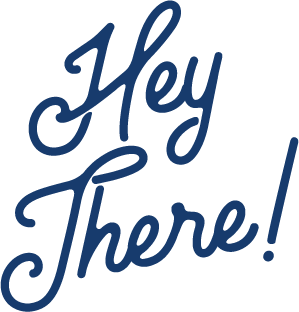 You can also place bulk orders at the house and if you live across the river they’ll deliver it to you by boat. 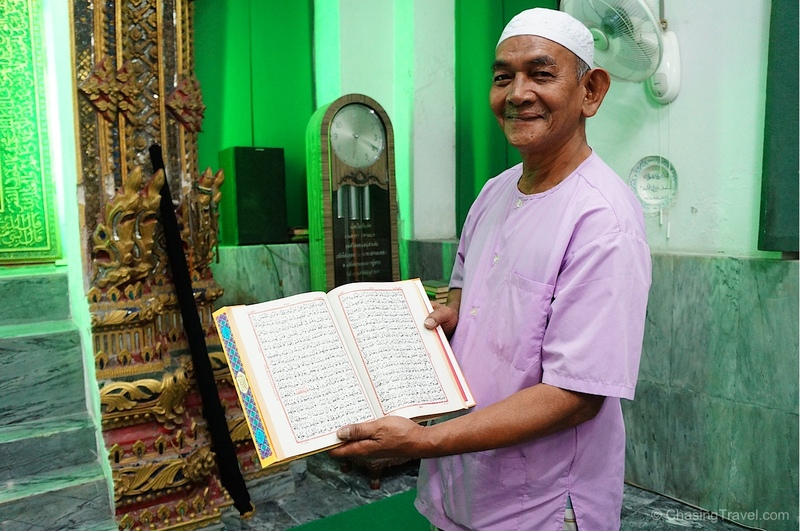 Masjid Bang Luang mosque is the oldest mosque in Bangkok originally built for the community of Thai-Muslims who moved near the Bang Luang Canal. We didn’t arrive at sunset in time to see locals in prayer but we got a chance to meet the imam who invited us in to give us a tour. Be sure to bring a shawl to cover your shoulders and long pants to cover your knees but if you don’t have one they can lend you a sarong to wear. 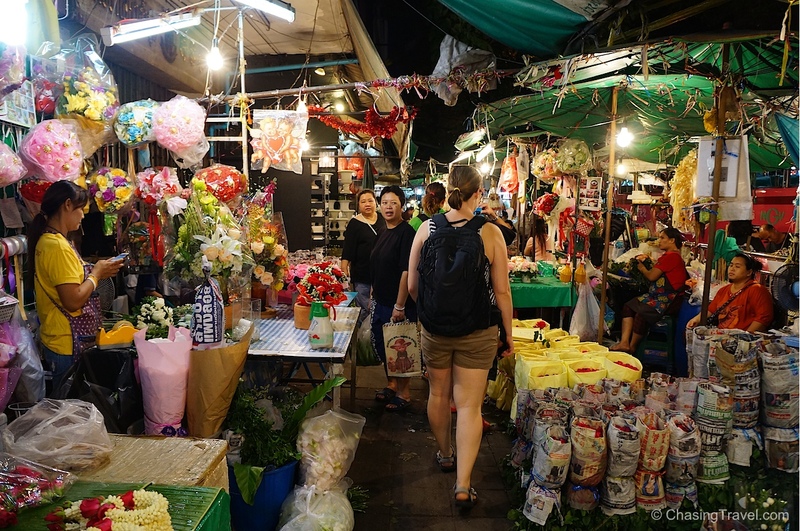 With nightfall came the start of one of the liveliest parts of Bangkok – Sanam Luang and the 24 hour flower market which also happens to be the largest flower market in Southeast Asia. 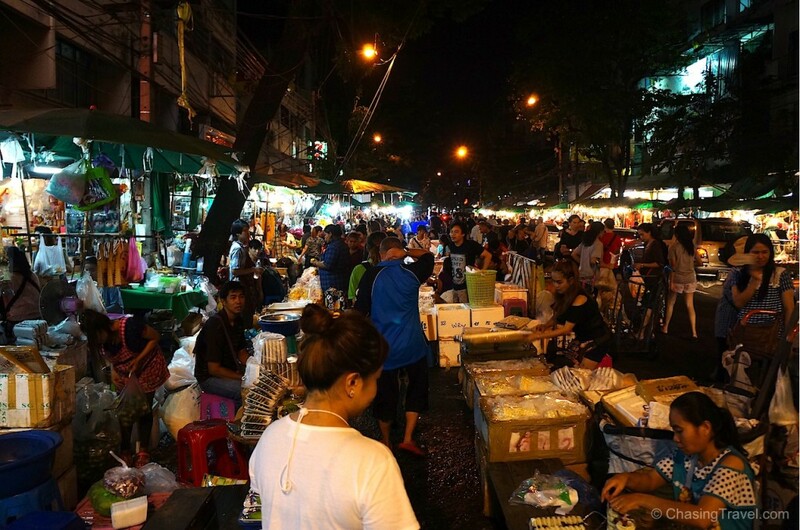 It’s busiest at nighttime as we squeezed in between vendors; locals and tourists browsing the stalls. The flower market is not exactly off the beaten path but it is frequented by locals. I couldn’t imagine, who would possibly need flowers at 3 in the morning?! In Buddhist culture, lotus flowers represent enlightenment, overcoming suffering, rebirth, and help purify the spirits. 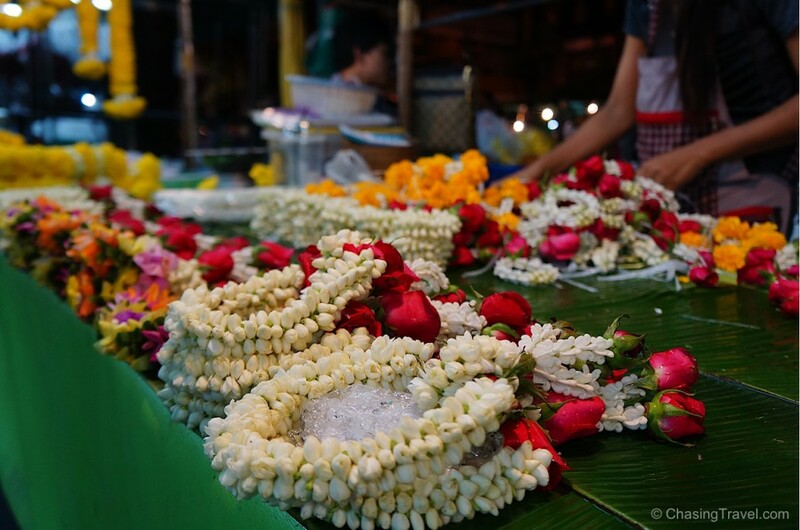 Garlands are used as an offering in temples or draped around a person’s neck in ceremonial occasions. 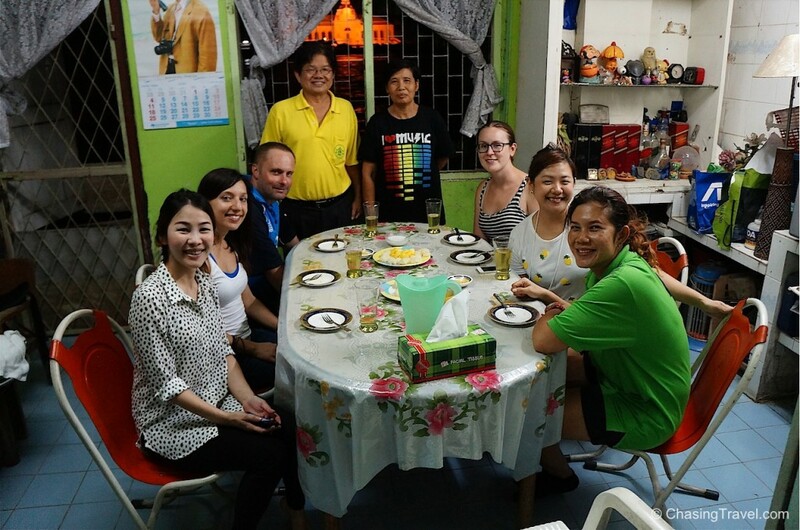 The highlight of the tour for me was eating with a local Thai family in their home. Khun Sek’s family are descendants of the first Chinese settlers to Siam, or what we now call Thailand, and they shared with us their home cooked Thai meals right in their kitchen. 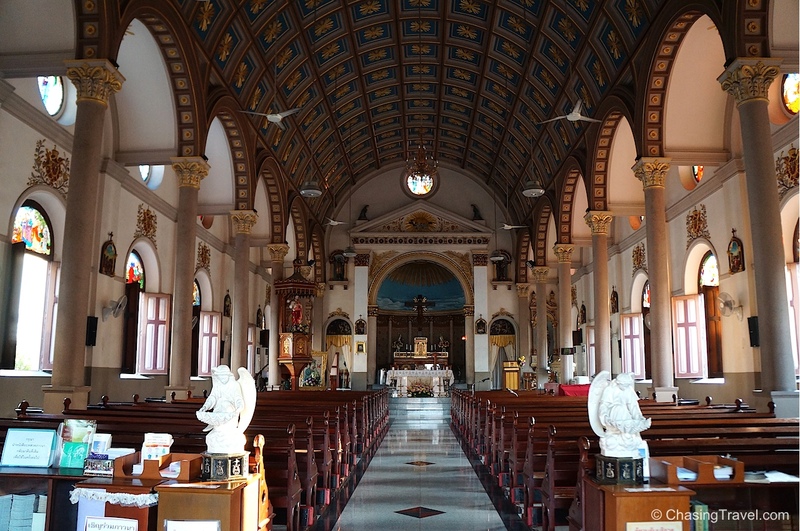 Other glimpses we caught along the way…. 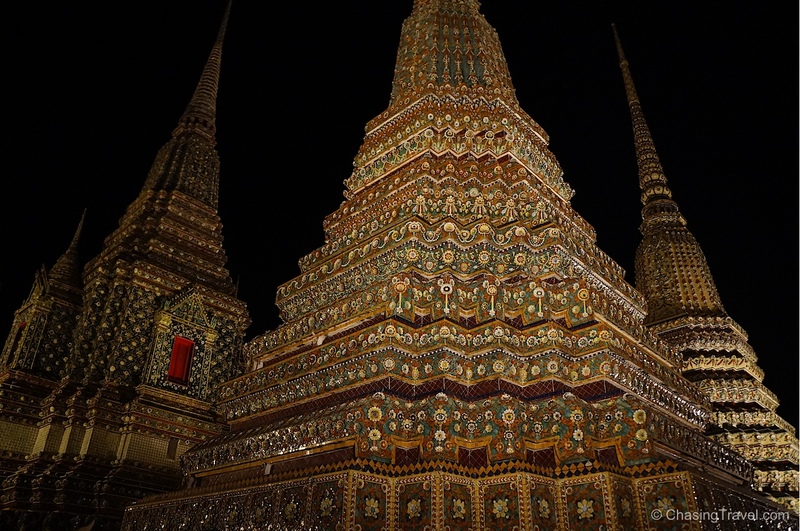 Temple of the Dawn and Wat Pho are best seen at night when they are spectacularly lit and without the tourist draw you normally get during the daytime. 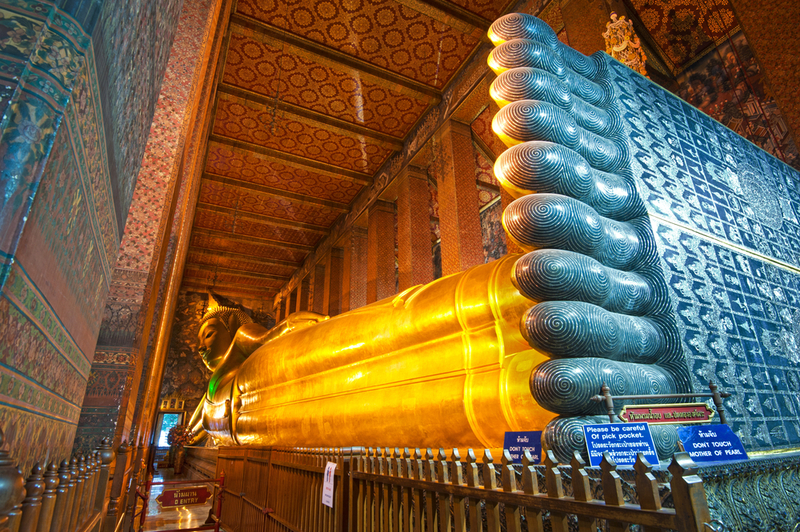 Unfortunately, you don’t get to see the famous reclining buddha in Wat Pho during the tour since the temple closes at 5pm. Difficulty: Medium. I’m an active person to begin with, but I did start to get tired about half way through. At one point it was hard to keep pace with the group, weaving through tiny roads trying not to ride myself into a wall or tight corner, but you do get the hang of it. 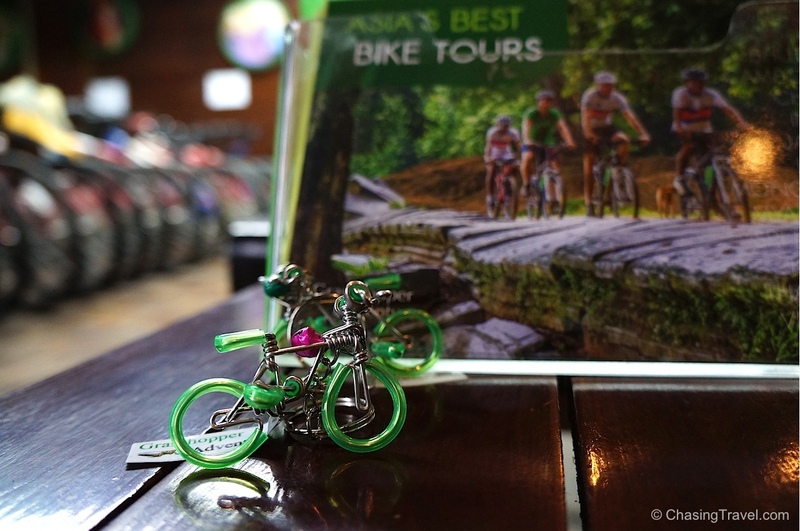 Many thanks to Grasshopper Adventures for sponsoring me on their Bangkok Bike and Dine tour. As always, all opinions are my own.